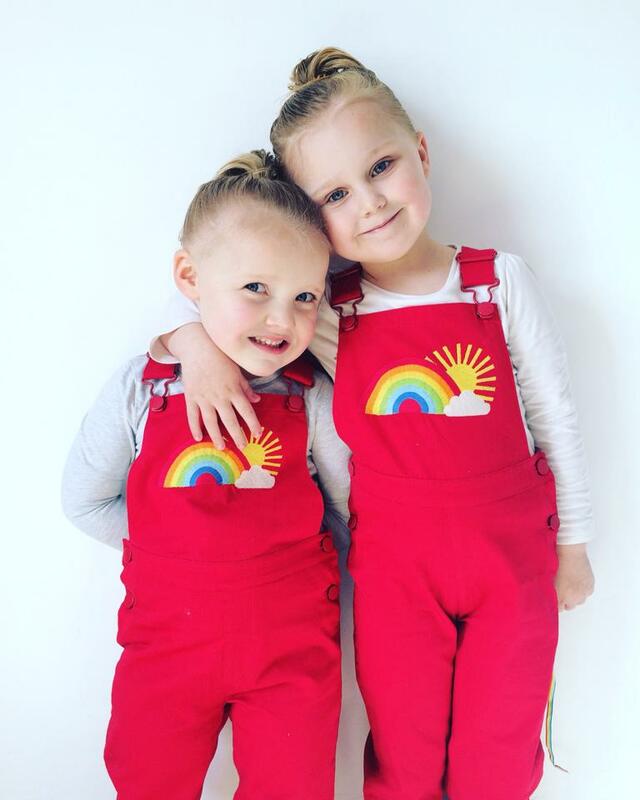 A few weeks ago I sat down and read Katie's blog post and saw these beautiful and unique looking red dungarees that her daughter was wearing. At the end of the post she left a link to where we could find the dungarees. They were selling at Little Bird by Jools. I was a little too late and they were all gone. I am not surprised they were all gone as they were in the sale for around £10! I was gutted! However, I joined a Facebook group and found one pair size 5-6 on their brand new for £18 free postage and another 4-5 years on Ebay brand new for around £19 in total with postage. It was a little bit too much but I so wanted these dungarees for the girls! Oh my goodness, I love these dungarees! Jools Oliver's collections are always so cute. I could buy the whole lot... every time! Oh my. Such a pretty colour. I would love a pair for my daughter. She would love it. Don't they look adorable, I want some for my girls. I love dungarees, even today! This is so adorable. Those are the most adorable dungarees ever! Little kids look so cute wearing dungarees, I think! They are adorable! And so are the girls wearing them ;) I still wear dungarees now! 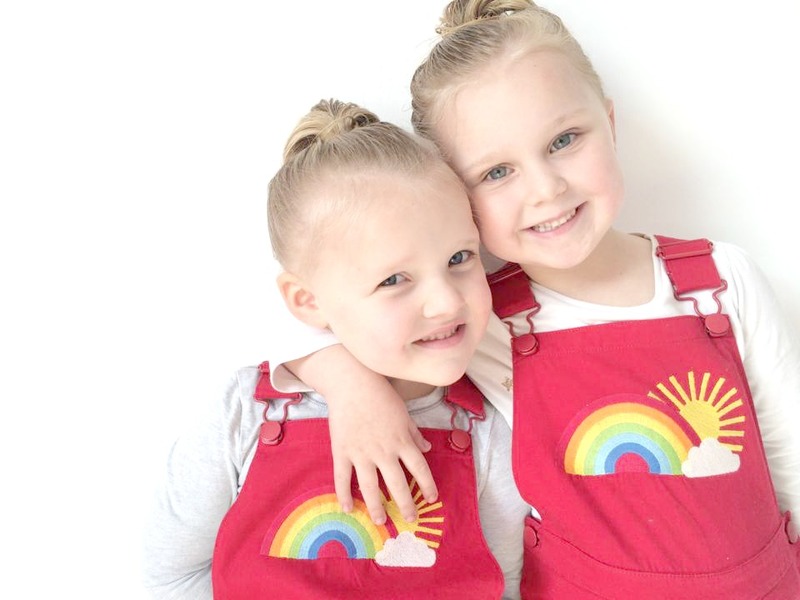 Those dungarees look so pretty and they are the perfect colour for spring. I love dungarees, I'm glad they are fashion for adults right now too. These are just lovely and have invoked memories of me in my blue dungarees when I was little. I used to live in dungarees and hated when my mum made me and my sister matched but I love looking back at those pictures now.. They are looking incredibly cute in that picture!